It's the time of year when spots tend to rear their ugly heads. We're drinking too much, eating too much, and staying out late. I've tried many a spot treatment, including the much lauded Origins Super Spot Remover Blemish Gel and Dermalogica Overnight Clearing Gel . They've never really worked for me. 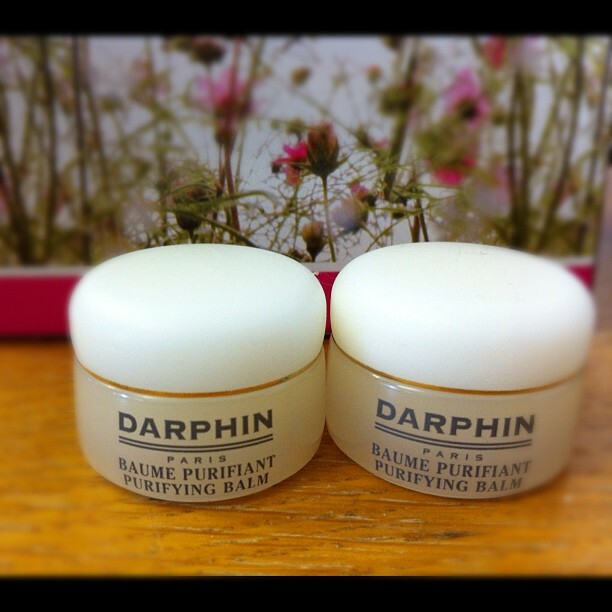 In fact, the only thing that I've ever found to make a difference is Darphin Purifying Balm. You can buy it from a few places online, but they also sell it in Space NK, and here's my top tip - Darphin do excellent samples, so go into your nearest branch of Space NK and as for one nicely. Here's a pic of mine below. You only need a tiny bit of this balm, so even the sample pot will last you a few months, and the full size one will last years I reckon. Depending on your type of spot, and the stage it's at, this product will either draw it out or shrink it down. Better out than in. What is it about this time of year? The Canarian sunshine did wonders but the gloom of winter brings bad times.